PROFESSIONAL SERVICE OF THE HIGHEST QUALITY. 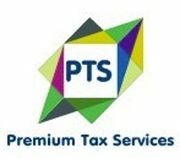 Rate and review Premium Tax Services in Punchbowl, New South Wales, Australia! Share your experiences at Premium Tax Services with your friends or discover more Accountants in Punchbowl, New South Wales, Australia.